Earlier this week, Sony opened the gates of cross-platform play with other consoles, starting with Fortnite. One of the biggest titles that would benefit from crossplay is Minecraft, and it seems like Microsoft is definitely open to the idea. 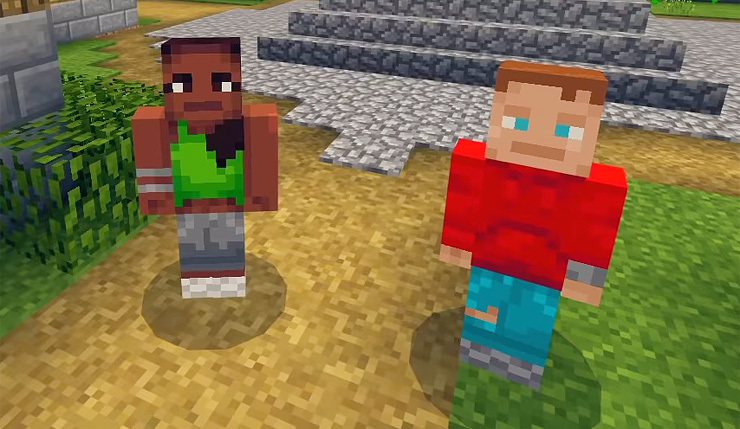 Windows Central reports that Microsoft would love to bring players on PlayStation 4 into their Minecraft ecosystem. The company is also open to working with their partners to bring more cross-platform play for other titles, mentioning Rocket League, another popular game available on all consoles but lacking crossplay. We believe in giving gamers the opportunity to play the games they want with the people they want. Whether that means working with our partners to deliver cross-network play with games like ‘Rocket League’ and ‘Fortnite’ or enabling cross-device play with the likes of Minecraft, we are supportive of new scenarios that enable more people to play and have fun together while gaming. We would love to bring players on PlayStation 4 into our Minecraft ecosystem as well but have nothing further to share at this time. Bringing PlayStation 4 users into the Minecraft ecosystem would be huge, but there are some additional hurdles that have to be solved. Sony stated that they will allow crossplay with select third-party titles, so there’s a chance that talks have already started regarding the Microsoft game and other popular titles available across different consoles.